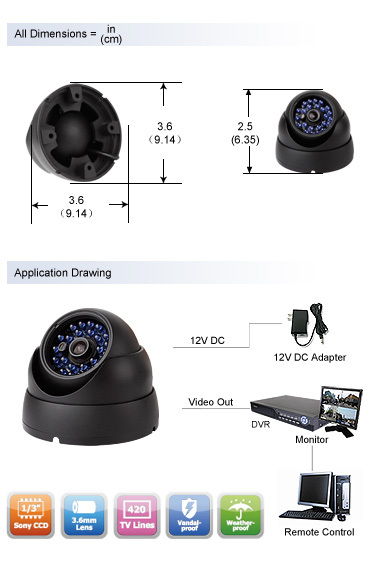 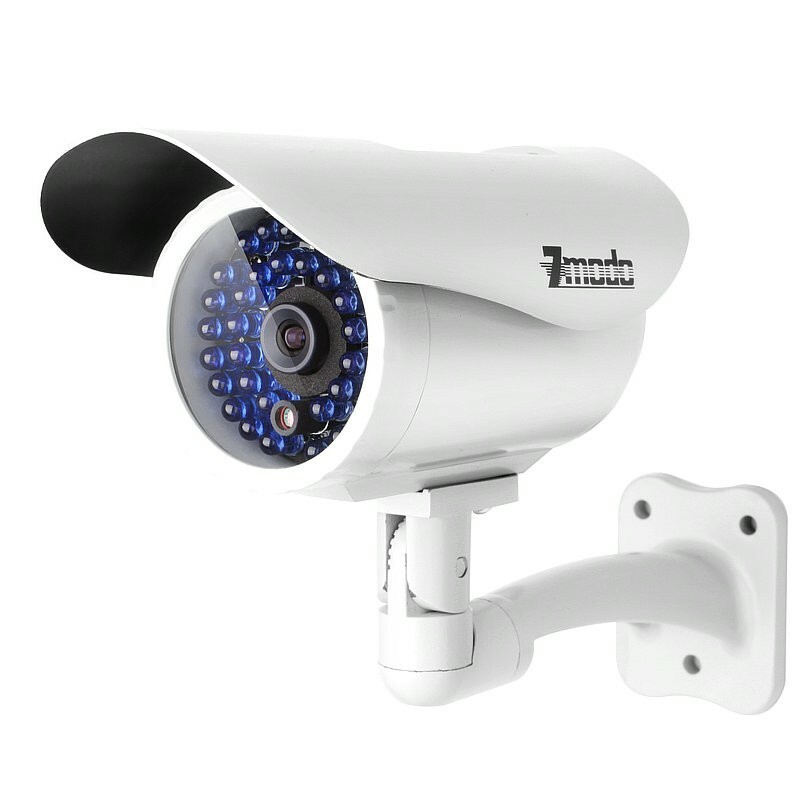 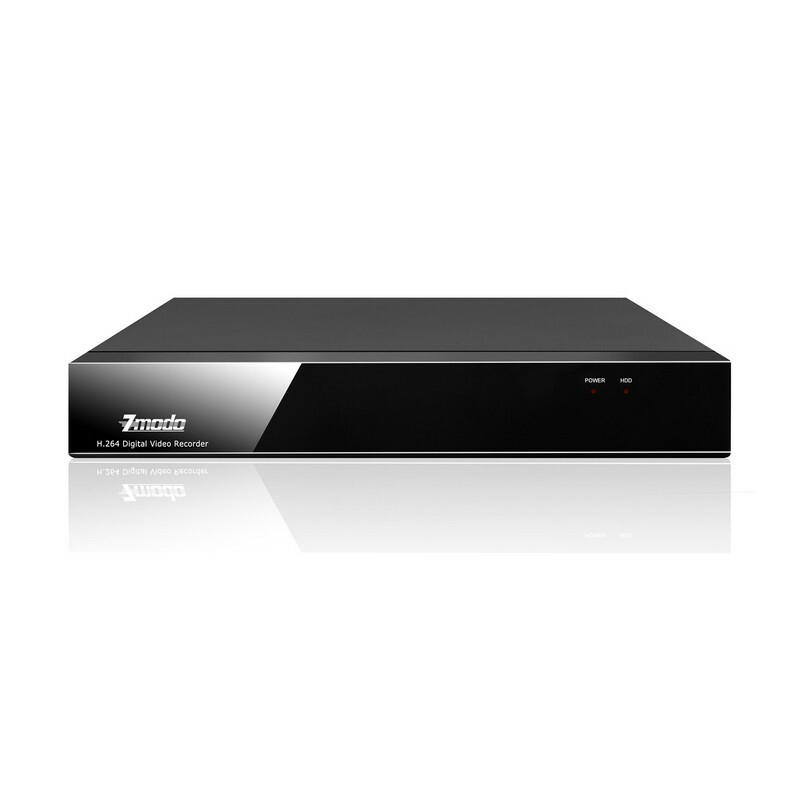 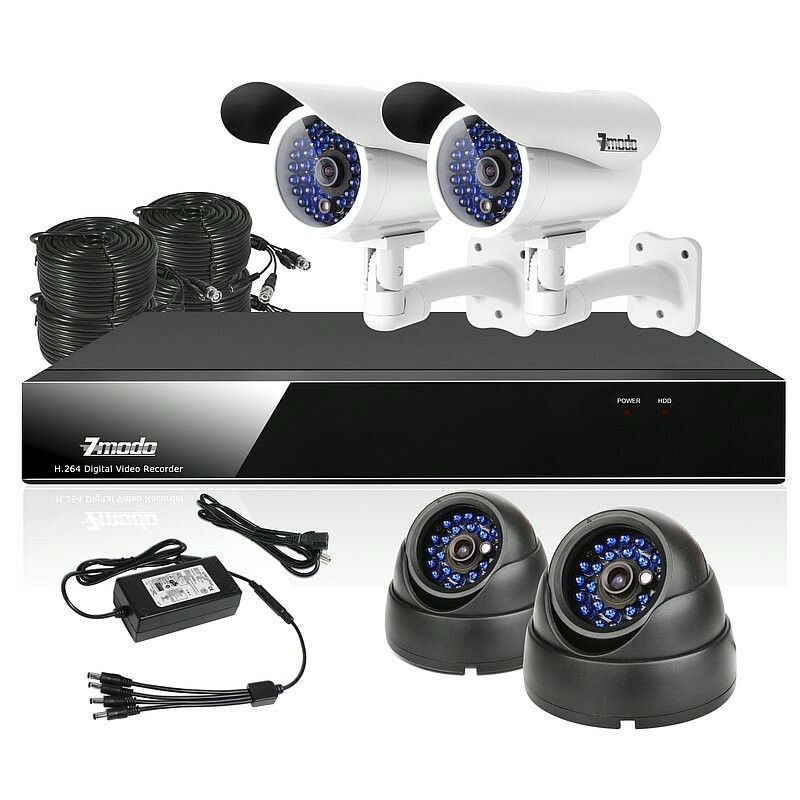 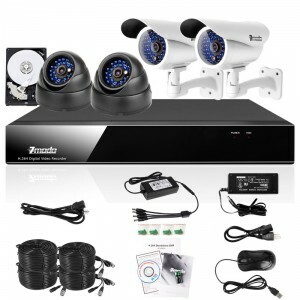 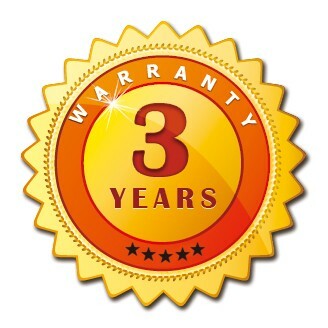 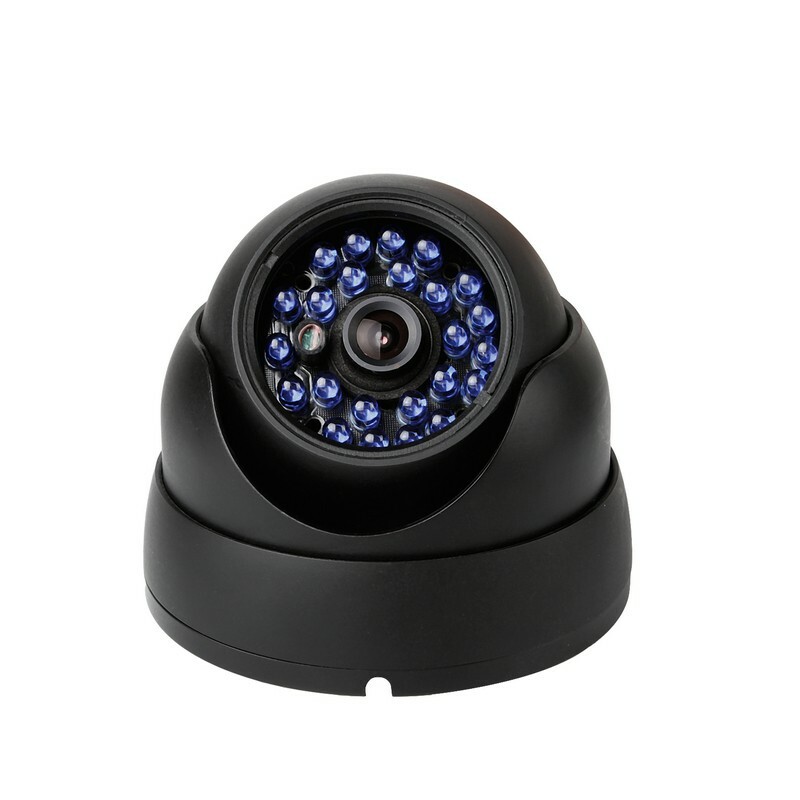 This security camera system includes a four channel DVR with 1TB hard drive, and four indoor/outdoor night vision cameras, providing you with everything you will need to protect your home or business, safeguard your loved ones, and deter suspicious activities. 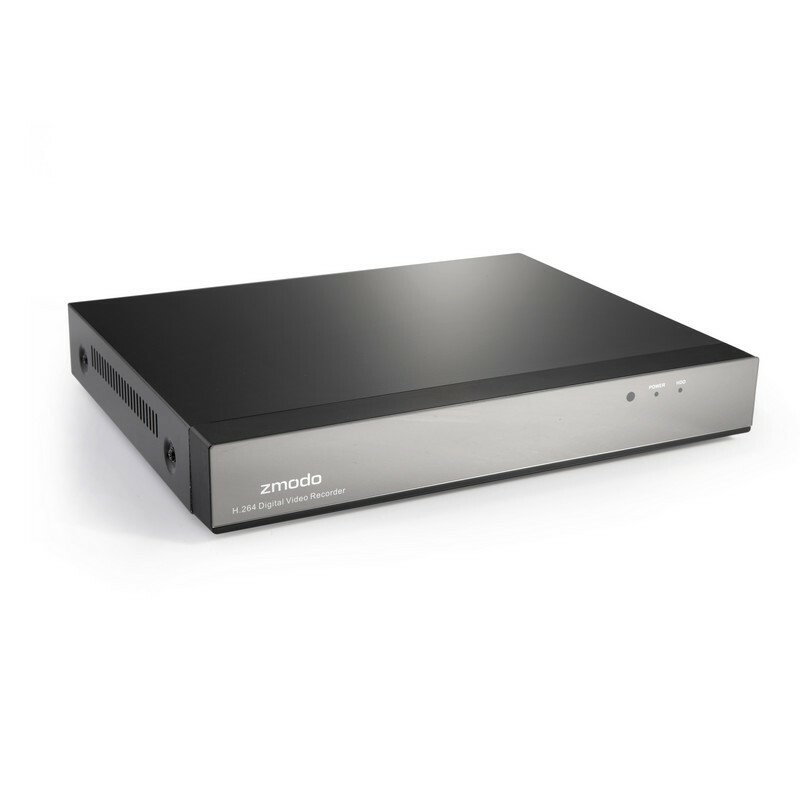 Utilizing cutting edge H.246 compression, the installed 1TB hard drive can capture and store continuously recording footage for 1 month. 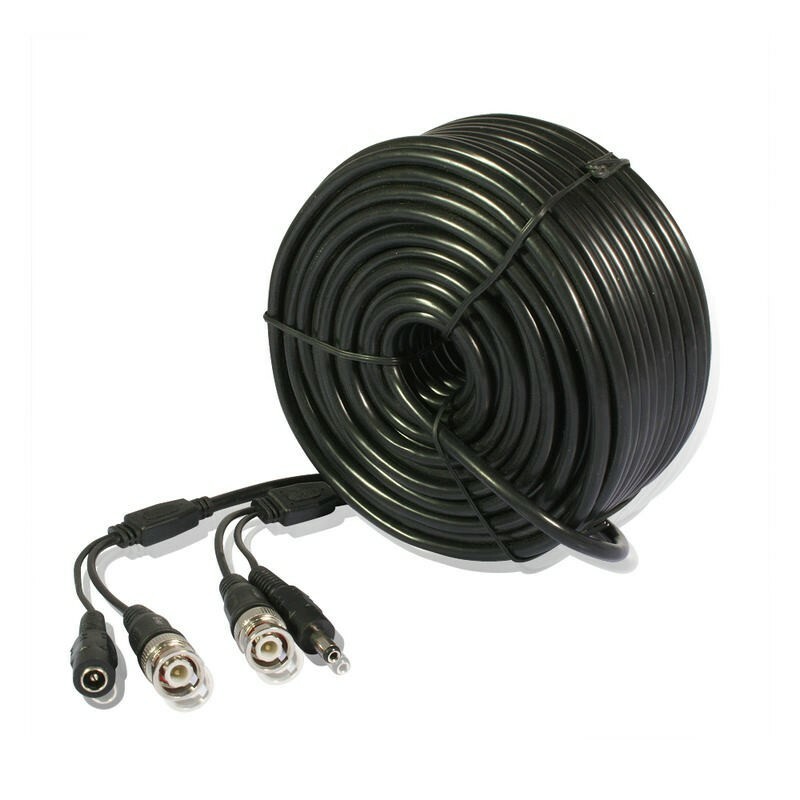 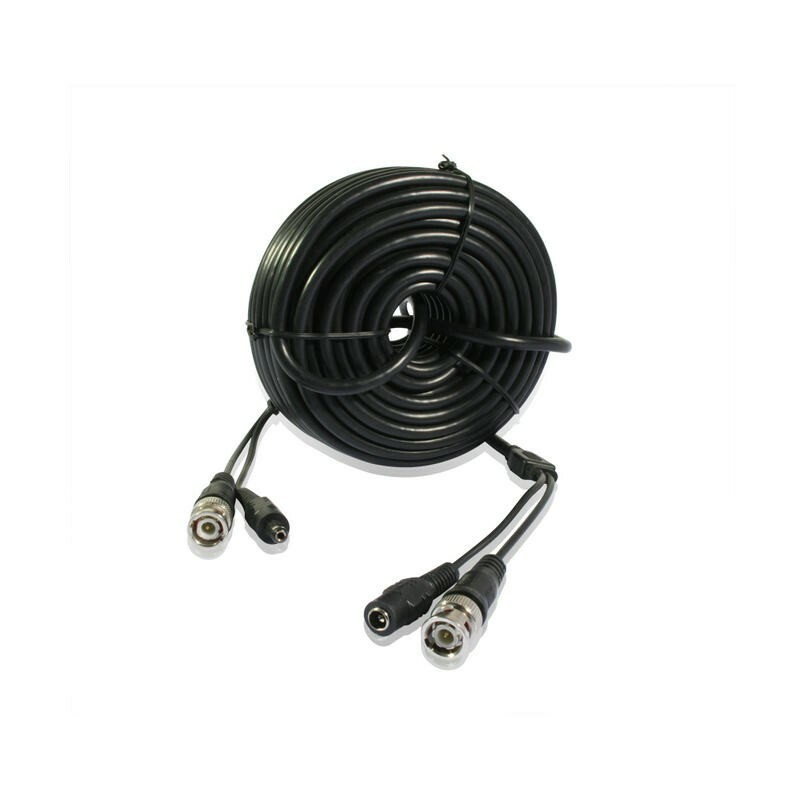 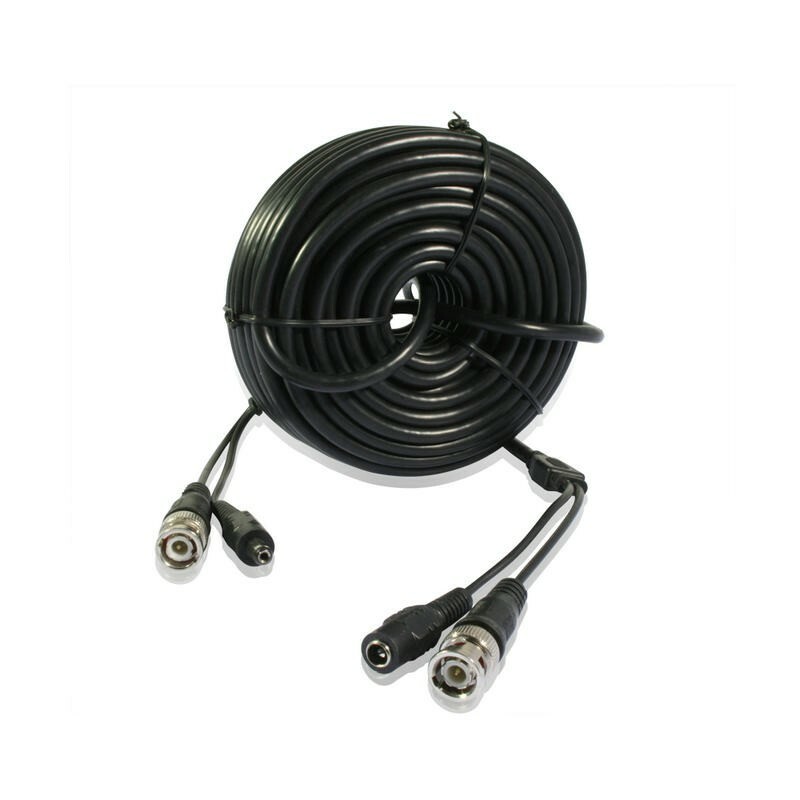 Use motion detection recording capabilities for even longer storage times. 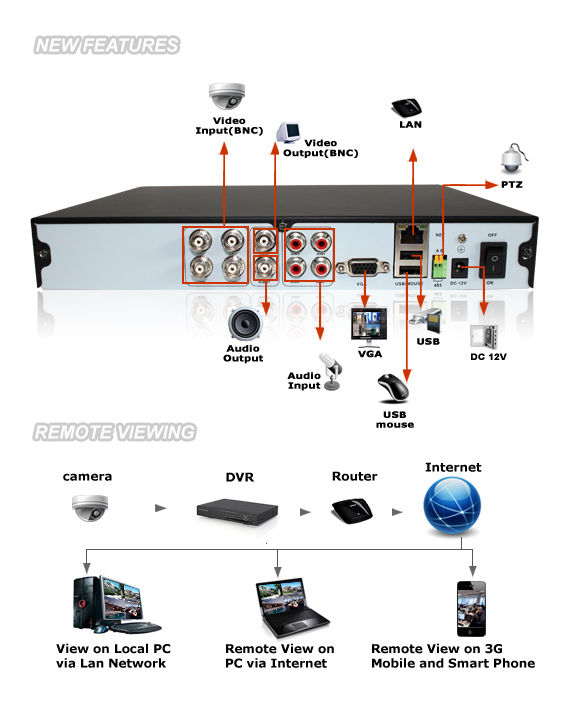 View live video footage directly either from your PC or Smartphone running Android™, Symbian™ , Windows Mobile® , iPad® IOS & iPhone® at any time. 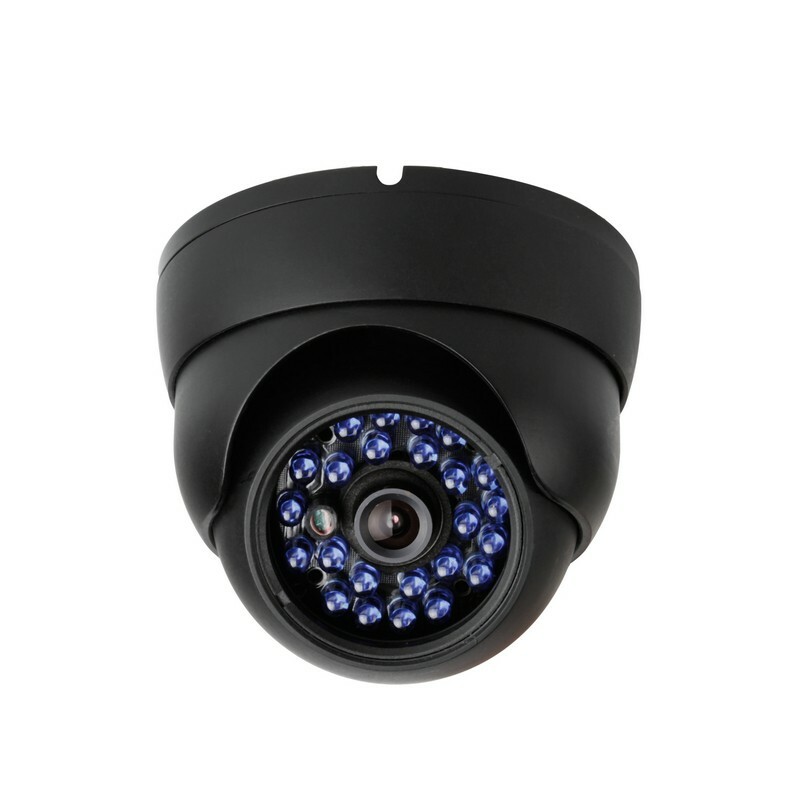 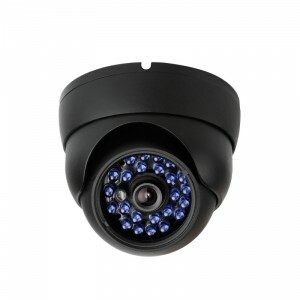 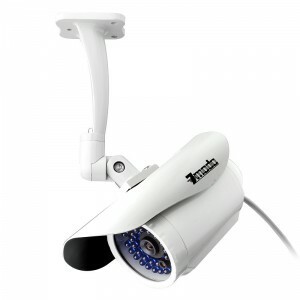 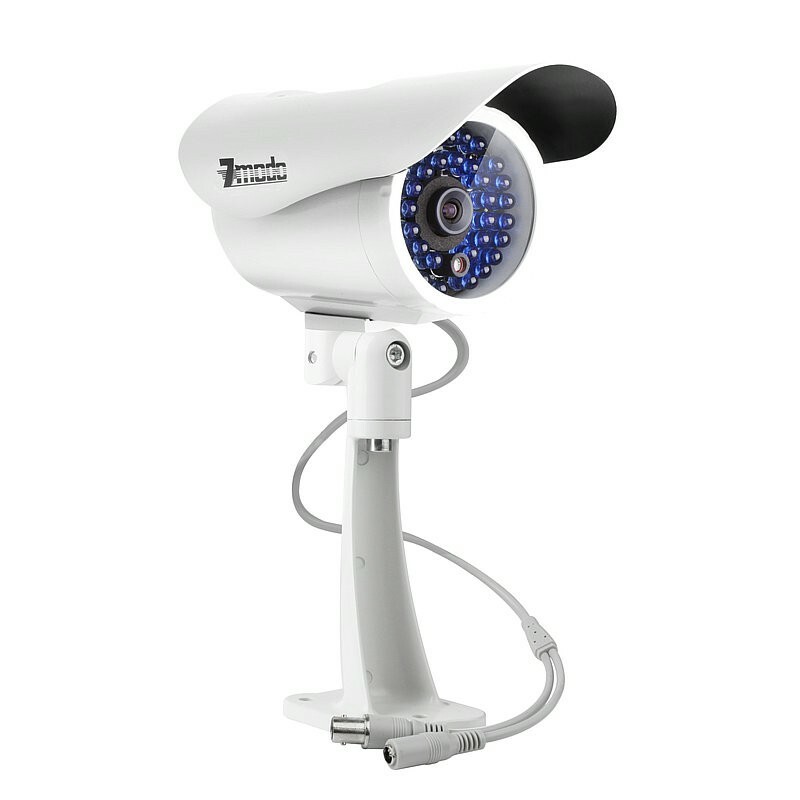 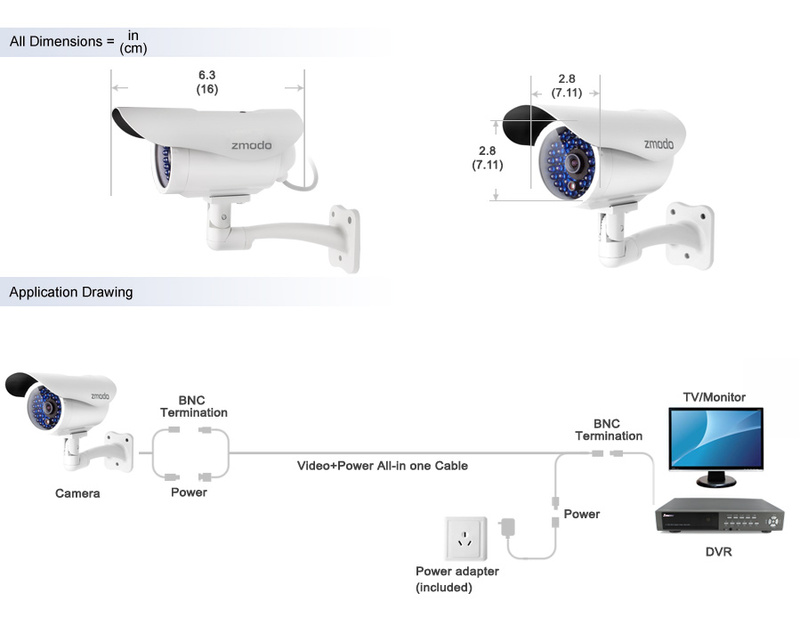 This system is designed to send an email alert, complete with photo of the activity, if any motion is detected, or if any camera experiences video loss.. 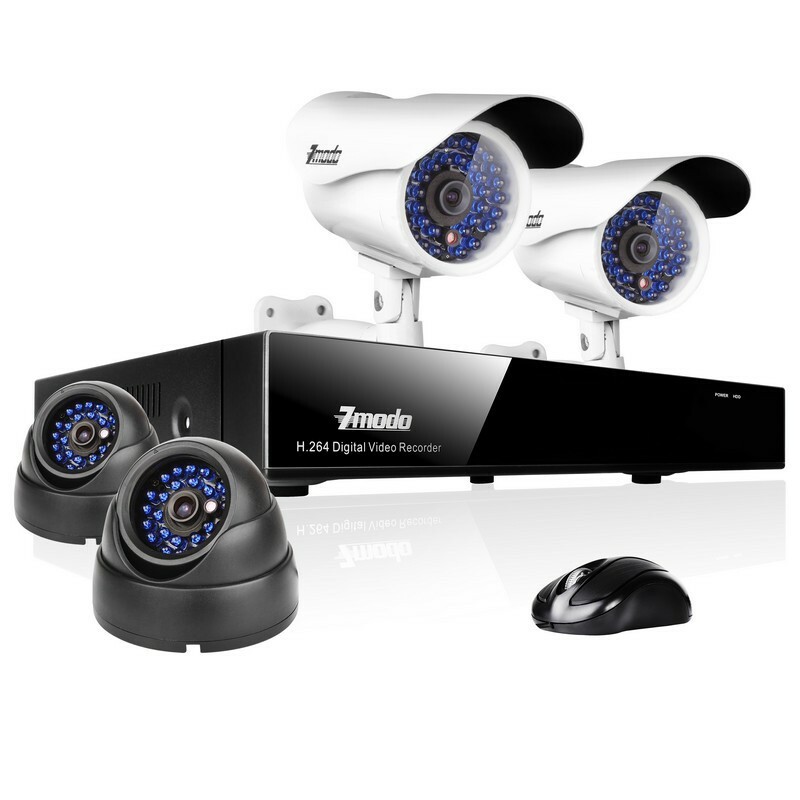 Choose 24/7 continuous recording, schedule specific recording times by hour or day, or set motion detection recording to help catch only the important information to save on hard drive space.